Instead of a one piece nozzle like Adrian’s design this design uses nozzles and barrels that can be readily bought from places like Makerbots, ReprapSource, and RepRapStores. I asked my Dad to turn the other parts on his lathe which he kindly did for me while I was on holiday. 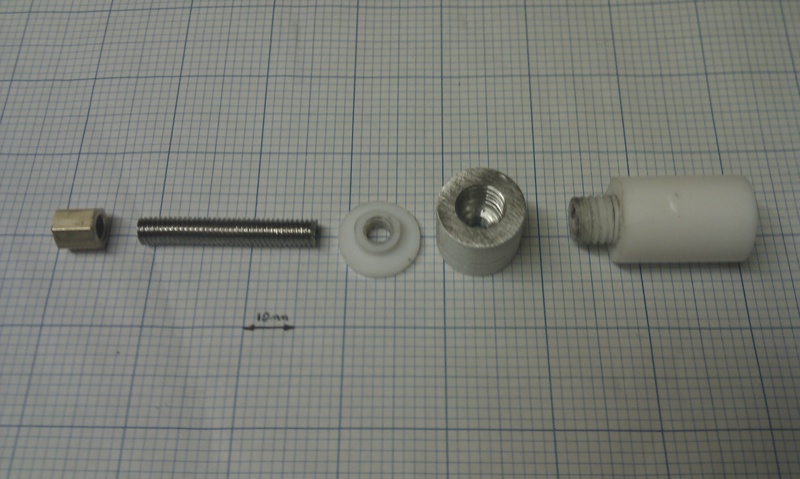 And here is a photo of the assembled nozzle, the retaining plate is not shown in this photo. 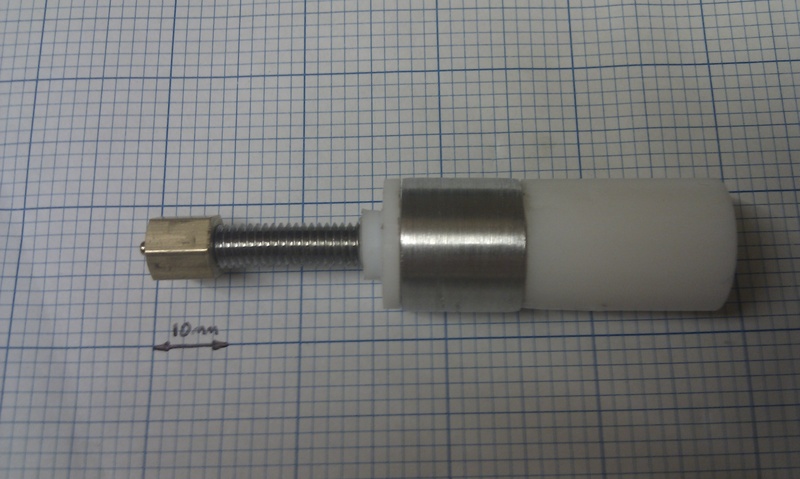 Then I drilled and tapped an internal M10 thread into a short piece of 16mm PTFE. I used a drill stand to do this, and I had to support the PTFE in a block of wood with an 16mm hole drilled into it. 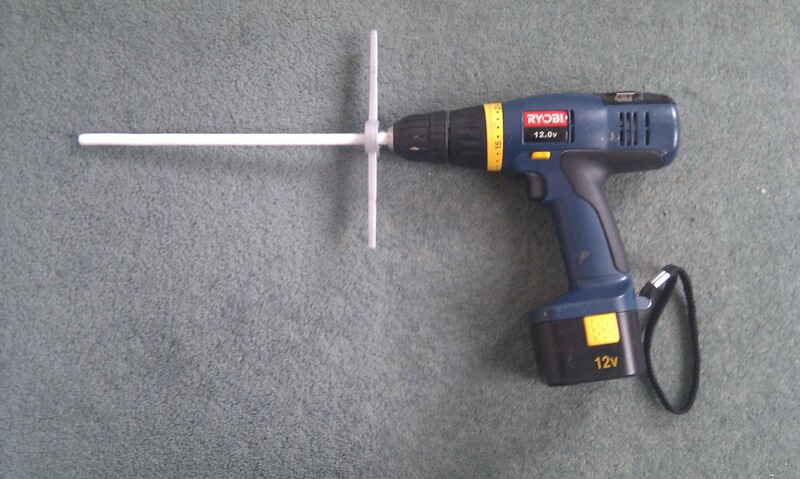 I screwed the 10mm PTFE into the 16mm PTFE and got my desired shape ready for drillng the 3.5mm hole down the centre. 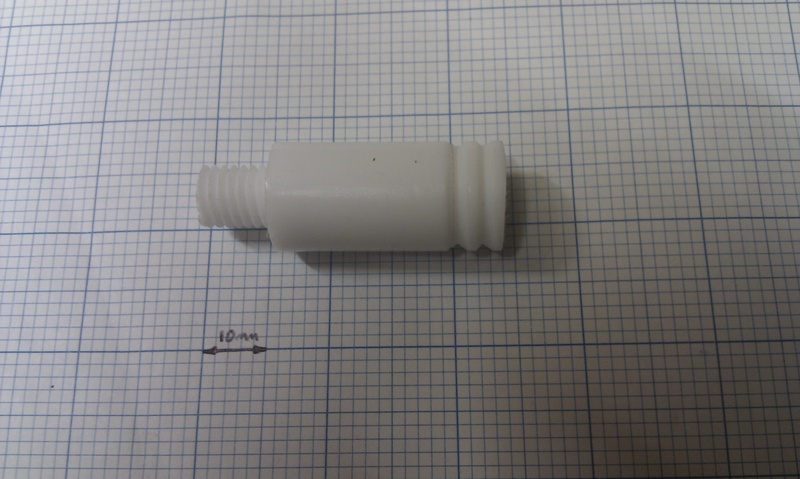 This technique could be used as a simple method for making the same part in Adrian’s extruder nozzle, just use M7 instead. At this point I wondered (as you might be), why not just use the M10 threaded PTFE as the barrel instead of the above. Well I am not entirely sure how to answer that question, because that would of course be simpler, although I can say that the 16mm PTFE does have more structural rigidity than M10. Update: I have since made some further improvements to this design which are documented here amongst other ideas.